The Wetterstein mountains offer snow guarantee for your winter holiday and gentle climate for hiking holidays in summer. Leutasch is located in a high valley of the same name, north of Seefeld. If you appreciate rural charm and Tirolean tradition but you would like to take advantage of the offers in the Olympic region of Seefeld, then this is the ideal place to stay. The impressive mountains will remind you of the voluble descriptions in regional poetry. The author Ludwig Ganghofer, known for many novels and film versions, has his hunting house in this area where he found lots of inspiration to describe the stunning nature and dramatic hunting scenes. During your summer holiday in the nature park village of Leutasch, the beautiful landscape will motivate you to lace up your shoes, take a snack and discover the surroundings. 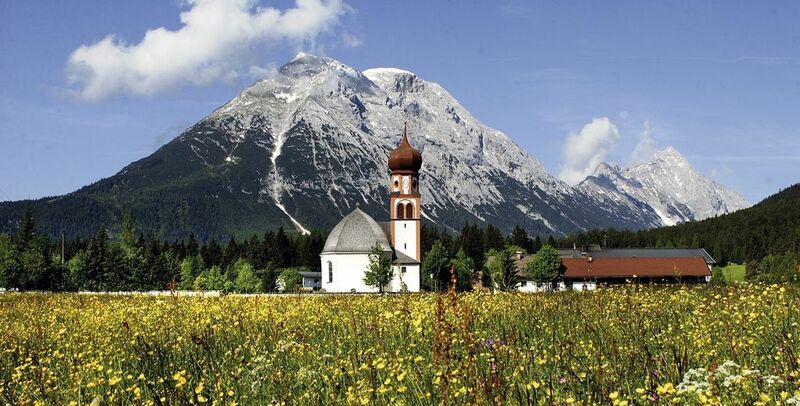 No matter whether you are very ambitious, on holiday with your family and kids or walking for pleasure, the splendid peaks of the Wetterstein mountains as well as comfortable pasture walks (with stops to enjoy traditional delicacies) provide something for everyone. Discover the 75-meter deep Geisterklamm gorge and look out for the little goblin which is said to make trouble – it’s a great adventure for the entire family. Afterwards, relax and unwind at the Alpenbad Leutasch or plunge in one of the bathing lakes. The Ganghofer museum informs you about the German writer, Ludwig Ganghofer, who was visited by numerous artists around 1900, such as for example by Hugo von Hoffmannsthal and Richard Strauss. Numerous cross-country skiing tracks as well as a beautiful landscape covered in snow make cross-country skiing fans return to Leutasch again and again. One of the oldest competitions is the well-known Ganghofer race, which attracts hundreds of participants every year. Romantic horse-drawn carriage rides, slopes for all ability levels at the local Kreithlift ski resort, floodlit tobogganing track, offers for night owls and great winter hiking paths – with or without snowshoes – make for the perfect holiday location for sports fans, families and those looking for pure pleasure. An insider’s tip in Advent is the atmospheric walk from one chapel to another. Guests, children and locals walk with lanterns and torchlights accompanied by music through the night and listen to Advent stories.